Dunny Evolved. Five Artist Evolved Series~ Sneak Peek! Evolve…. Dunny is, was, and always will be. 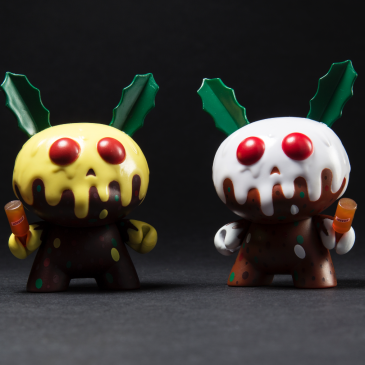 From the Dunny Evolved Series, each Dunny Evolved 3 man line up features three stages of evolution by one of five artists. Kronk’s newest masterpiece is a rockin’, top hat sportin’, heart boxer wearin’, hookah smokin’, 15-inch vinyl Dragon named Dweezil. Committing the oldest sins, the newest kinds of ways, Kronk brings out the worst in Frank Kozik’s icon with the 8 Deadly Sins Labbit Series! 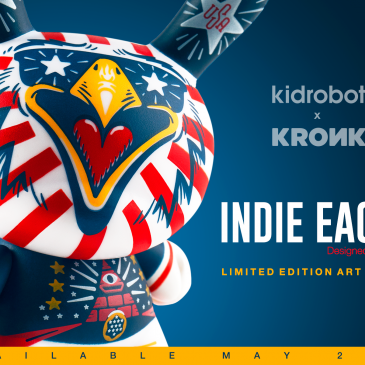 Say hello to Kronk Studio’s devilish new design for Dunny Series 2012, “Ooh La La.” Kronk will be signing at his local Capetown vinyl shop ToiToy this Thursday, June 21.